Are ab muscles the same as core muscles? The core has become a fitness buzzword. People seem to think core training is synonymous with abdominal training, which explains why various websites, blogs, trainers and television home shopping commercials, use that phrase to attract misinformed readers desperate for a six-pack. In truth, the core is much more than a six-pack, and it needs to be treated as such. It's time to destroy misconceptions about core training and restore its true meaning. Endless sets of sit-ups and leg raises will only take your core so far. Eventually, your core will need to support heavy weight under serious stress when you squat, deadlift, or press. Kick the crunches aside and learn heavy lessons that build insane core strength! Just because a strong healthy body with a six-pack, a tiny waist and a strong core is important for so many people, the fitness enthusiasts, the bodybuilders, the fighters (MMA, wrestlers, boxers, kick-boxers) but also the general population, especially the young generation that wants to look good with their shirt off and on the beach. There are so much different approaches to reach this goal. Kettle bells, Medicine balls, jump ropes, slam balls and suspension kits are only a few of the instruments used to train the core muscles. And many gadgets to train the abs more about that later in this article. Most of the anabolic steroid not only dock to the androgen receptor, but also to the receptors for estradiol and progesterone. Knowledge about that is also relevant to steroids users, because the progestogenic and estrogenic effect of steroids tells us something about their possible side effects. In 2009 some Dutch researchers published a survey which might benefit health conscious steroids users. The more you know about anabolic steroids, they more complex they seem to be. If you start to study the chemistry of anabolic steroids you start to understand how various modifications are meant to prevent the conversion of steroids into estradiol-like and DHT-like hormones, while at the same time allowing for an increased anabolic effect. But if you understand that, you'll discover that it all works just a bit more complicated. Take nandrolone. Nandrolone differs from testosterone because nandrolone lacks a 19-methyl group. Thereby the aromatase enzyme converts nandrolone harder than testosterone into estradiol. At the same time that the omission of 19-methyl group ensures that the anabolic effect of nandrolone is stronger than that of testosterone. The absence of the 19-methyl group allows nandrolone to attach to the androgen receptor about two times better than testosterone. Because, by the omission of the 19-methyl group of nandrolone it can no longer convert in the androgen testosterone metabolite DHT, at the same time nandrolone has less androgenic side effects than testosterone. Testosterone converts easily into DHT, DHT is hardly anabolic but strongly androgenic, and DHT can attach to the androgen receptor 3 times better than testosterone. In the eighties, however, users found that nandrolone still has side effects caused by female hormones. At somewhat higher doses, men can develop breasts (gyno) from nandrolone,. This is probably because nandrolone can attach itself to the estradiol receptor. By the absence of the 19-methyl group Nandrolone is also a bit of an estrogen. It also became clear that nandrolone in somewhat higher doses suppressed the body's endogenous production of testosterone to a greater extent than synthetic testosterone. That is because nandrolone by the absence of the 19-methyl group is also suitable for the progesterone receptor. The combined androgen-estrogen-progestational effect of nandrolone, causes the steroid in the hypothalamus to press to all the buttons that reduce the body's own testosterone production. By the same mechanism nandrolone users can become temporarily impotent, and nandrolone was in animal studies more harmful for the heart and blood vessels than testosterone. The story becomes even more complex. In the 21st century it became clear that steroid receptors in cells - and hence in muscle cells – worked together. The signal that the androgen receptor, after forming a complex with an anabolic steroid, that tells the muscle to become bigger, becomes stronger if the cell at the same time receives stimuli via the estradiol and progesterone receptor. That idea was the starting point of the thesis of Barry Blankvoort. [Development of an endogenous androgen receptor-mediated luciferase expression assay for interactive androgenic action, Wageningen 2003] If you've read it you look differently to cycles and stacks, and take all those messages about endocrine disruptors in our food a lot more serious. Ergo: the same mechanism by which nandrolone exerts so many side effects, also makes nandrolone such effective muscle builder. In theory, you can make arguments for or against any of these approaches in terms of superiority. In the real world, it’s not quite that simple. You can always find folks (and this is true whether they are bodybuilders or just general dieters) who either succeeded staggeringly well or failed miserably on one or another approaches.Before going on, I want to mention that protein recommendations tend not to vary that significantly between diets and most of the arguments tend to revolve around the varying proportions of carbohydrate and fats in the diet and that’s what I’ll be focusing on here. Simply, I don’t consider low-protein fat loss diets in the equation at all for the simple fact that they don’t work for anybody but the extremely obese. Any dieting bodybuilder or athlete needs 1-1.5 g/lb lean body mass of protein on a diet. Possibly more under certain circumstances. Every bodybuilder knows that cortisol is bad. Cortisol is one of those nasty catabolic hormones, and catabolism is bad. At least that’s the logic. Cortisol is a hormone found in your body, in a class of compound called glucocorticoids. It gets its name from the fact that it’s produced in the cortex (outer layer) of the adrenal glands. There is a lot of scrutiny regarding proper anabolic-androgenic steroid cycle structure for maximal muscle gains with minimal risks. Front loading is one practice gaining attention in the bodybuilding community. This process immediately elevates blood androgen levels. Front loading omits the customary delay of obtaining peak and stable blood levels by increasing the cycle’s front-end use. Athletes stumble onto AAS use while scavenging for further ways to promote a progressive strength training routine – especially bodybuilders and powerlifters. Strength athletes often search for ways to develop productive steroid cycling protocols by combining the clinical research that is available with personal experience; as well as gathering insight from others. Formal clinical trials analyzing anabolic steroids in sports and exercise are rare. The medical community perceives little application for large performance-enhancing amounts of AAS to treat disease – even though many athletes would argue poor performance is an adverse health condition. Mostly through trial and error, numerous informal studies and private research examines various steroid cycling methods and how they can present a positive impact on performance and body composition. This information is generally shared through social networks, to include using online messaging software. 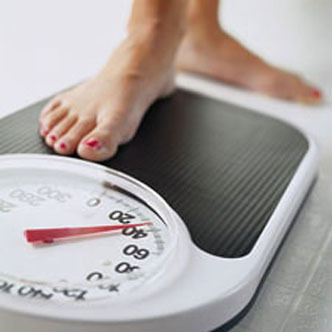 Extreme dieting is where a bodybuilder tries to get in shape as fast as possible,in the shortest time frame possible. There is no instance where I recommend extreme dieting. For maximum muscle retention, it's always best to take a patient and longer approach to dieting. It is for this reason that I advocate the 12-14 week contest prep. The longer you take to drop weight, the more body fat you will lose and the more muscle mass you will retain. However, for many reasons, bodybuilders occasionally have to get in shape in a very short period of time. For example, they realize they are "behind" in their prep or they only give themselves 8-9 weeks to diet. If you are extremely fat, absolutely nothing will help get you into great shape in just 6 or 8 weeks. If you are soft and lacking definition, you can get into incredible shape in just 8-9 weeks - if you know what steps to take. In this Rx Muscle installment, I plan to outline the type of diet I have used with clients to help get them into great shape in just 8-9 weeks.